Simply put power factor is a measure of how efficiently electrical power is converted into useful output. A more technical definition of power factor is the ratio of the true power (kW) that electrical equipment uses to get the job done and the apparent power (kVA) that is supplied to a circuit. If you’re confused, all this means is that the power that goes in one end doesn’t necessarily match the power that comes out the other. Power factor is presented in a value that ranges from 0 (bad power factor) to 1 (good power factor) and in the real world of industry and commerce, equipment rarely has a power factor of 1. This is due to something called “inductive load” which causes the amps in a supply to lag the volts. The resulting lag is the power factor. 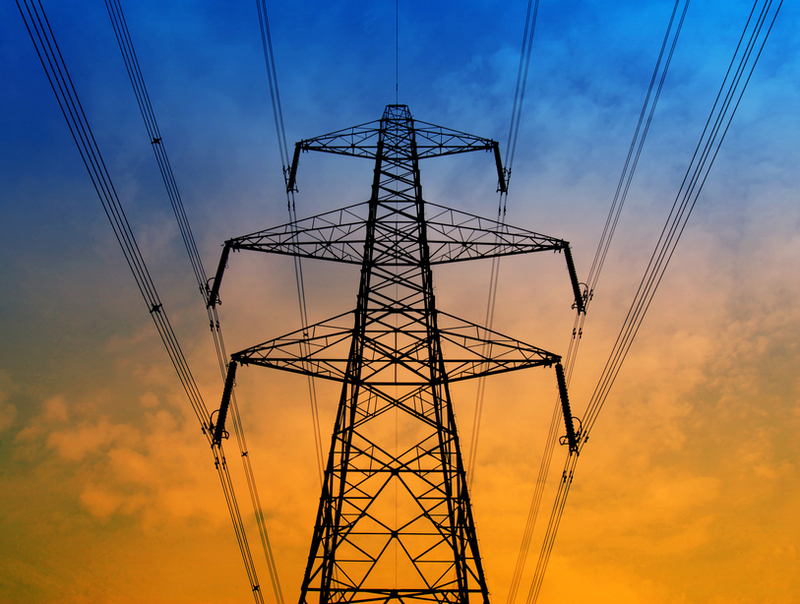 With energy prices seeming to go up at each bill, we all want to make the most of the power we’re paying for. So the most common reason to install Power Factor Correction (PFC) is to maximise the electrical supply into your building. By using PFC equipment, you will be able to run more machines and do more work on the same amount of electrical supply. Savings on any Reactive Power Charges you find on your electricity bill as most suppliers charge you for having a poor power factor. A reduction in your Authorised Supply Capacity. This is the agreed maximum power you are allowed to use at any time. A reduction to your Supply Capacity will provide a saving, as you are charged for each kVA of power which is available to your business. Can Power Factor Correction Benefit You? Contact us for an assesment! How is Poor Power Factor Corrected? Installing a capacitive load (capacitor) into the circuit cancels out the effects of the inductive load and therefore improves the power factor. This process is known as Power Factor Correction. 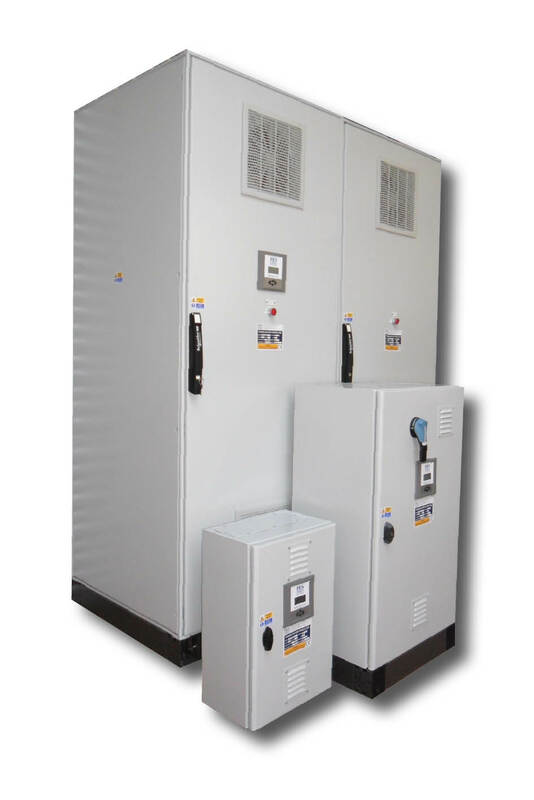 Power factor correction capacitors are sold in kVAR ratings, usually in a trio of three capacitors, which may or may not be packaged in a single enclosure. The equipment needs to be sized and specified correctly as the installation of the wrong power factor correction equipment can cause more harm than good – one of the many reasons you need to use the best Power Factor Equipment for the job. Capacitor boxes often contain some surge suppression circuitry, this is important as although experts widely agree that surge suppression saves virtually no energy, it may be highly beneficial in protecting valuable equipment if there are any serious voltage spikes on the circuit. We have partnered with one of the leading manufacturers and suppliers of Energy Saving Systems for commercial and industrial customers in the UK. The approach to energy reduction at a plants source or on individual circuits using a combination of proven technologies is unique within the UK and has proved to be an intelligent and cost effective way to reduce energy costs and carbon emissions in an increasingly energy conscious environment. With the main emphasis on Voltage Management and Power Factor Correction the system used is is continually delivering impressive results on energy reduction for customers in all UK sectors. Using the highest quality Vishay maufactured capacitors in the manufacturing process of our energy saving products provides unrivalled performance and reliability. PFC is especially effective when partnered with an accurate Voltage Management system. Find out more here. We can offer you cost reductions of 20% and payback periods under two years. Here are more details.